The Lucky Red Casino offers U.S. players a glamorous VIP experience with their 24/7 customer service, elegant casino lobby, and online concierge. Everyone from Miami to Seattle receives white glove treatment, starting with a huge welcome bonus to play any of their 100s of casino games, and ending with a lightning fast payout sent directly to your front door. Here is one of the largest welcome bonuses for U.S.A. players – the Lucky Red slots bonus of 400% up to a maximum of $4,000 for all new players. Our review of the Lucky Red Casino details their amazing array of daily promotions as well as their stellar player loyalty program. We also provide step by step directions on how to open an account, make a deposit, and discuss their great Mac compatible casino games. Is Lucky Red Casino Mac Compatible? Users of Apple computers will be excited to learn that Lucky Red offers a Flash casino that is 100% Mac compatible that can be launched in seconds via their homepage. It offers all the latest branded slots, a wide selection of table games, and graphics that look absolutely fantastic in a Safari browser. It should be noted that if you have Windows emulation software on your Mac you can use this to install their download casino and create a shortcut directly on your desktop. If you download the Lucky Red Casino for Mac you will be able to access over 20 extra slots and table games, so it is definitely worth the extra step for those U.S. players who are looking for variety. The sign up bonus for the Lucky Red Casino is a colossal 400% up to $4,000 that can be used in any of their slots or keno games, or to purchase scratch cards such as “Hot Dice” or “Lucky 8s”. Players who prefer to play blackjack or video poker will want to opt for their 100% bonus up to $1,000 that can be used on their table games. Each of these sign up bonuses is only available once per player. Lucky Red also offers a respectable reload bonus of 55% on every real money deposit that players are free to wager on any game in their casino. 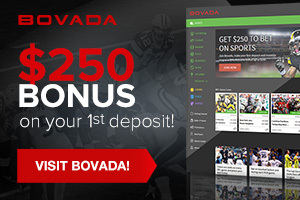 This is actually a very unique benefit for a U.S. online casino since many have strict requirements as to where you are allowed to play with your reload bonus. Opening a casino account at Lucky Red is done in a few easy steps that take less than five minutes in total to complete. Simply click HERE and enter your email address and choose a username and password, and then provide your name and details. Next you log in to your account, select your deposit method and choose your desired bonus. Once you have deposited just click on the casino game that you would like to play and you are ready to go. Mac owners will be able to select from a wide selection of casino games at Lucky Red, including over 80 high quality resolution slots games that look absolutely amazing on a MacBook Air or Pro with retina display. The sharpest slot machines on offer are definitely “T-Rex”, “Triple Toucan” and “Jackpot Piñatas”. However, the best Mac casino games at Lucky Red are definitely the ones that offer the huge progressive jackpots such as “Caribbean Stud”, “Let em Ride”, and “Mid-Life Crisis”, because hitting big on one of those games should mean at least a six-figure payout. This is a result of Lucky Red joining the RTG Real Series Jackpots Network which allows players from the USA a shot at larger pools of money, and an opportunity to enjoy a more profitable gaming experience. Since numerous players across the country are adding to the jackpot total, the prize amounts increase quite quickly. In addition, the Lucky Red video poker for Mac jumps off the screen with its sharp design, vivid colors, and friendly user experience. Whether it’s “7 Stud Poker”, “Loose Deuces”, or any of their other outstanding video poker games, you will be amazed at the speed and fluidity of the cards being dealt, as well as the swift payout of credits won. The Lucky Red Casino accepts all major credit cards so it is very easy for players residing in the USA to deposit here. Lucky Red has a special deposit method exclusively for U.S. players called “EZ Voucher” (Paste and Pay), which players can fund with their credit cards and then use to deposit into their casino accounts. Furthermore, players can choose to deposit via a number of different eWallets such as NETELLER, Click2Pay, Skrill, ECO Card and Instadebit. All of these eWallets can also be used to process withdrawals, and U.S. players have the additional option of check by mail to receive their winnings. All credit card and eWallet deposit methods are instantaneous and you will immediately have the funds available in your account to wager with. It should be noted that every one of the methods have a maximum deposit limit of $1,000, except for NETELLER which is unlimited. Like What You're Seeing? At Lucky Red, new players from the USA receive a 400% welcome bonus, capped at $4000! Check out Lucky Red! Close Open a Lucky Red account and start betting right away ! Play Now!